Hi, I am Kelly. I would love to help you plan your next magical vacation. I am a mom of 2 small children and a wife to a wonderful man. I have loved all things Disney for as long as I remember. I took my first trip to Walt Disney World when I was 5 and have not stopped going since. I have probably been to Disney World more than 30 times over my lifetime and have even had the opportunity to visit Disneyland Paris. I come from a family who cherished family vacations and put them before a lot of other things. To us, the time you spend on a vacation with your family is extremely valuable. The lessons and memories that come out of family trips is something your family will have forever. My parents taught me that and I am doing my best to show my children the same thing. People often ask me why I take so many trips to Disney World when I can go see and do so many other things. My answer is always the same. The value our family gets out of these trips is so much worth the cost. Sure we take other trips as well. We make other memories. But my kids continuously ask to return to our happy place. 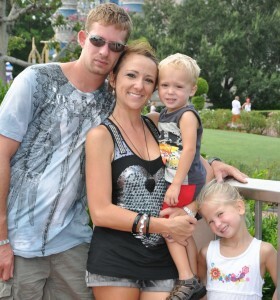 We all have such a great time when we go to Disney World that we can never wait to return. I would love the opportunity to help you and your family plan your vacation to our happy place and hopefully help to make it yours as well. 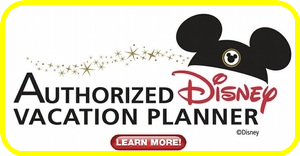 Contact me today to help you plan your Disney Vacation. 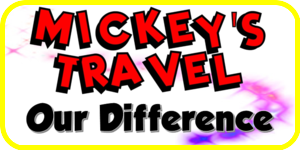 Whether it be Walt Disney World, Disneyland, Disney Cruise Line, Aulani, or even an Adventure by Disney trip I can help you make new family memories that you and your loved ones will cherish forever. Favorite Disney Park Magic Kingdom. There is just something completely magical about entering the gates and getting the first view of the castle. This is always our first and last park of any trip we take. Favorite Disney Attraction It’s a Small World. I still remember the same characters and dolls and beautiful colors from riding this as a kid. And now that I am a parent I love seeing my kids eyes and watching their expressions going through this ride. Favorite Disney Restaurant Ohana for dinner. We love the atmosphere and the food is always something we look forward to. Favorite Disney Character Tinkerbell. She has just enough sass in her. Favorite Disney Movie Aladdin. I love the thought of trying to better yourself no matter your situation.